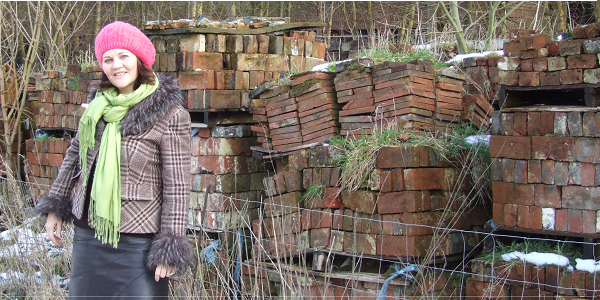 This pile of bricks is Jackson Studios, the birthplace of many iconic British sounds. We want to bring it back to life here at Chiltern Open Air Museum so that music fans, children and in fact everyone, can enjoy a trip down musical memory lane. Jackson Studios is currently in storage at COAM. The studios were once owned by the Jackson family who donated the building to the Museum after it was threatened with demolition. The studios, originally in Maple Cross, were used as a recording studio by Jack Jackson. Jack was a popular bandleader during the 1930s and 1940s and later became a highly influential radio disc jockey, broadcasting on BBC Radio and TV where he became known as the ‘father of DJs’. On his retirement, Jack handed over the studios to his sons, who in the 1970s, set up a commercial recording studio that became renowned for its ‘dead’ sound. Many world famous artists recorded at the studios, including Elton John, Ian Dury and Motorhead (recording their definitive track Ace of Spades there). It was one of the first recording studios to provide overnight accommodation for artists. With the advent of digital technology, the studios went into decline and were eventually rescued by the Museum from developers. We want to reconstruct Jackson Studios at the entrance of our site in the paddock opposite the Museum’s Astleham cottage offices. Jackson Studios consists of a cottage, originally built in 1745, with an attached 19th century barn that was converted into a recording studio. The Museum’s main entrance will be modified so that the studios and facilities will be available to use without paying the Museum’s admission fee. It will also enable the studio facilities to remain open during the main Museum’s winter closed period. The 70s themed café will reflect the studios’ heyday, with space for community groups to meet, local businesses and groups to hire and local bands to perform, creating a lasting community asset. Priority bookings will be given to community groups local to the Museum. The main cottage will be an exhibit that will reflect what it was like for the artists that recorded there, where they slept, how sound was recorded, their stories and memoirs of the studios and their links with other areas of the Chilterns. Within the cottage there will be a training, development, and workshop space for volunteers. The Museum volunteers are in need of their own space to store their belongings, hold meetings and briefings, to work on Museum projects, learn and develop skills, and socialise. Once reconstructed we will develop music history learning resources and workshops in partnership with local schools. These will be delivered alongside the Museum’s award winning education programme. The project will provide local job opportunities during both construction and after construction for the running of the facilities. We will create a local communications programme to publicise the project, recruit volunteers and encourage community participation in as many aspects of the project as possible including; interpretation, landscaping, research and communications. The aim of the project is to provide a community hub and meeting space, develop volunteering opportunities and engagement, and preserve an important piece of Chilterns history. Chiltern Open Air Museum is a well-known local charity and visitor attraction and this project will help support the Museum and leave a legacy for the local community to enjoy. The Jackson Studios building from Maple Cross dates back to 1745. The building was used as a recording studio by Jack Jackson (1937-2000), “Father of DJs”. He made radio programmes for BBC radio and TV up until 1963. Michael Winner also made two films here in the early 50s. The building was later used by the Jackson family as a recording studio, becoming famous for its ‘dead sound’. Many iconic names in music industry recorded here, including Elton John, Motorhead, Ian Drury, Dr Feelgood, Eddie and the Hotrods, Tom Robinson and the New Seekers. A few years ago we kick started our project to reconstruct Jackson Studios at the Museum with a crowdfunding project. We raised some funds which have enabled us to develop our plans further. The crowdfunding project is no longer active but you can watch our promotional video. The Studios were donated to the Museum by the Jackson family who have shared many wonderful stories and memories about the studios with the Museum. Here are John and Malcolm Jackson talking about the studios at the Summer Jazz Picnic fundraising event in June 2013. If you would like further information, to donate or to get involved in our Jackson Studios project then please contact Gill Whitehead, Development Officer development@coam.org.uk or Helen Light, Marketing Manager marketing@coam.org.uk or call the Museum office on 01494 871 117.